I’ve been designing lesson materials for a long time and part of that has been printables for Gif Lingua. Each book has a set teachers can download to use to support teaching the topic of the book. Now, they are all available in an accessible folder. 1,000s of multipage sets on every conceivable topic (view the read only access google drive below). You can get them through EFL Classroom and becoming a supporter. Your support is appreciated. After becoming a paid Supporter, you’ll get access and a unique URL link. 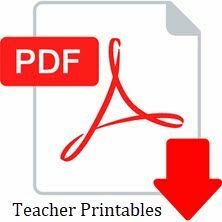 Alternatively, sign up as a teacher on Gif Lingua, click the “Download” button on the homepage of any book and make payment there to get these printables directly on Gif Lingua. Each printable you see contains several or dozens of pages – choose which will work with your class and teaching style. 1,000s of resources and an instant teacher resource library. Download and print when you want and for whatever topic you are teaching. I will be adding ebooks, templates and 1,000s of ppts in the near future.